Every year I debate whether or not to enter images into various photo contests. I usually decide against it, but last year something told me to submit a few photos to Digital Photo Pro Magazine’s “Photo of The Year” contest. Last month, it was an exciting surprise to receive an email from the magazine informing me that above image had won first place! You can see the winning images in the July issue of the magazine as well as on the Digital Photo Pro web site. 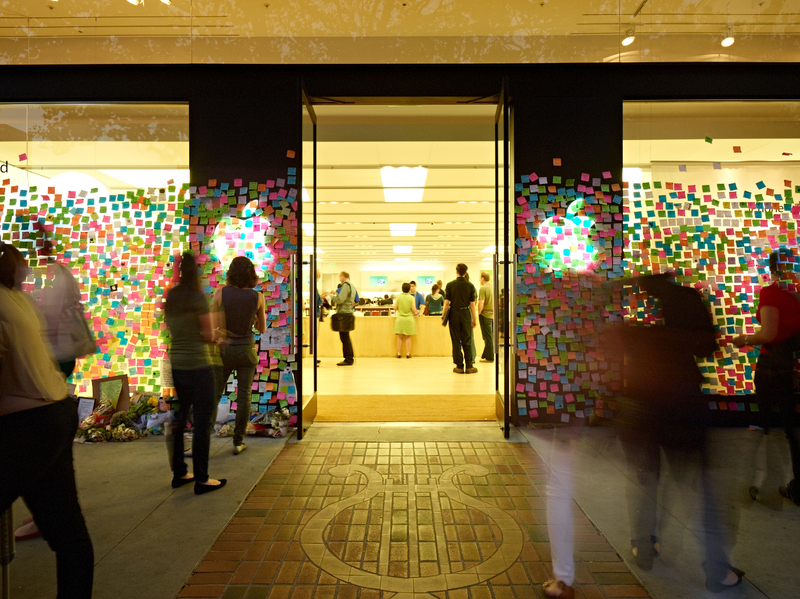 I shot this image as part of a series called “Notes for Steve” which documented the Post-it Note memorial to Steve Jobs that was erected at the Apple store just blocks from his Palo Alto home in the days following his death. Hundreds of people came to this store day and night to leave their notes of remembrance–many of which were truly touching. And finally, I want to say thank you to the judges at Digital Photo Pro and to everyone else that encouraged me to do this series of images. Winning a contest like this, while both humbling and exciting, is a rare event. More often it’s the support, encouragement, and appreciation from those around you that keeps you moving forward as a photographer.